Office carpets have it tough. They’re continuously subjected to foot traffic, stains from dirty shoes, spillages, heavy office equipment and much more. Unless you take good care of your office floor, it will become worn and faded before its time. 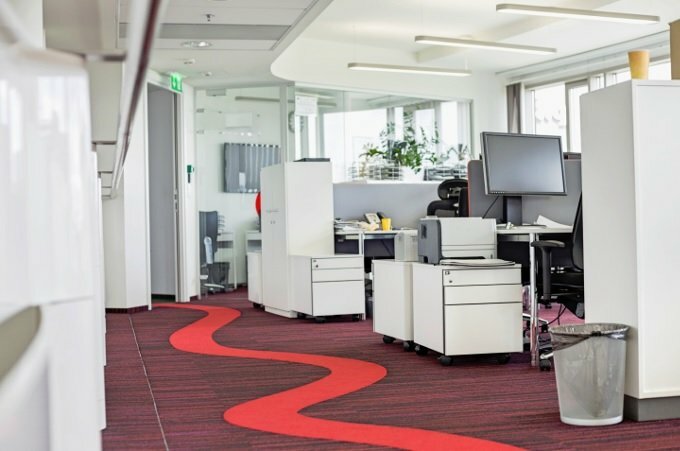 The good news is that, no matter how busy your office is, there are some easy things you can do to keep your office carpets in great condition for many years. The trick is regular care and maintenance before it gets to the stage where repairs are needed – prevention is better than cure. Protect your carpets from dirt that’s being carried in from outside. 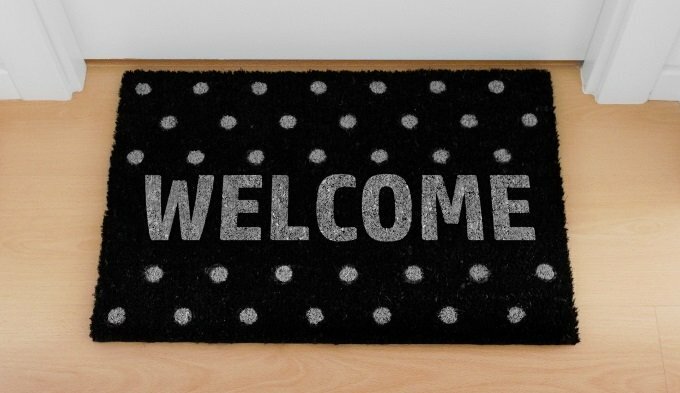 Use door mats or heavy duty rugs in front of external doors, and ask people to wipe their feet before they come in. Indoors, high traffic areas that are particularly susceptible to wear and tear should be protected with extra rugs. This includes hallways and foyers, meeting rooms and break rooms, and any other carpeted places around the office where people tend to gather. Whether you’re changing the layout of office or moving around heavy equipment, it’s much better to lift rather than drag. Ask another person to help, or use a trolley if necessary. Dragging heavy items can ruin the underlay and cause unsightly stretching or even tearing of the carpet. The same goes for office chairs with wheels. Use extra rugs or plastic mats to protect the carpet where necessary. 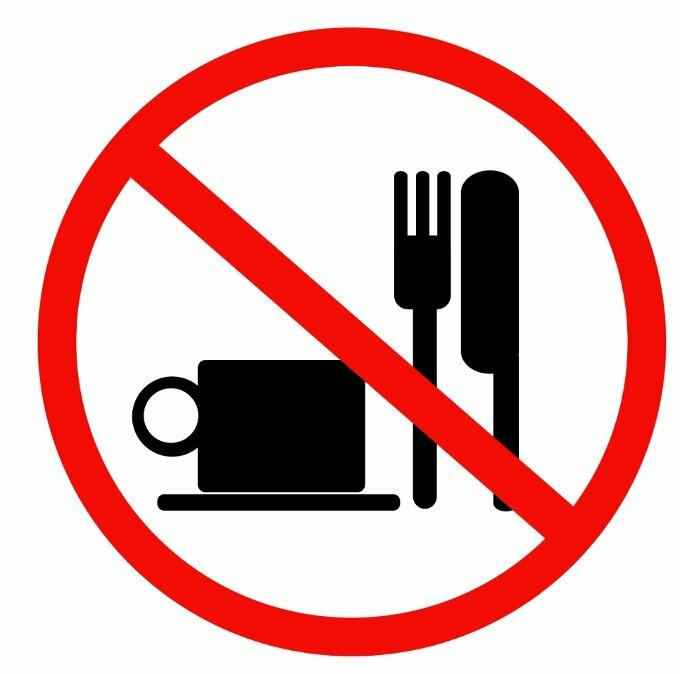 To prevent spills and stains from food and drink damaging your carpet, you may decide to ban food and drink from shop premises, and designate a safe eating area for your staff. Break rooms should have hard flooring and come equipped with tables and chairs, a fridge and perhaps a microwave. Have cleaning supplies on hand so that any carpet accidents can be cleaned up quickly. Carry out a weekly surface clean of your carpets, using a vacuum cleaner, carpet sweeper or even brooms. Move furniture out of the way and make sure all dust, dirt and debris is removed from the floor. Where necessary, use a commercial carpet cleaning product to spot treat isolated stains that may have occurred on your office carpet. 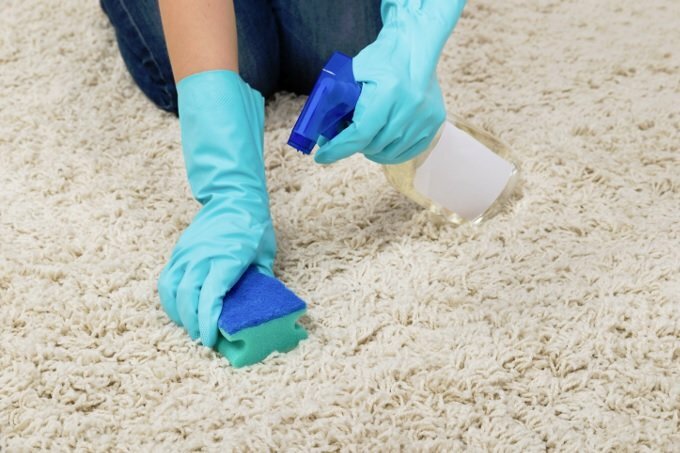 In addition to regular surface cleaning, your carpets will need a deep clean every so often, to keep them in tip top condition. Heavy duty carpet cleaners will be able to get deep in between the carpet fibres and clean them much more thoroughly than a vacuum cleaner. It is possible to hire carpet cleaning equipment and do the job yourself. However, given the commercial and time constraints in your office, it is likely to be much quicker, more convenient and cost effective to hire a professional carpet cleaning company to do the job for you. Apple Clean offer a completely specialist carpet cleaning service. We have over 20 years’ experience in carpet cleaning and trade on our reputation. With fully qualified and insured operatives, the latest equipment and rapid drying processes, we can offer bespoke maintenance and deep cleaning carpet services for all commercial customers. To ensure minimal disruption to your office, we can offer 24/7 flexible working hours, as well as highly competitive rates. Contact us today for a free quote.